In yet another discouraging sign for SeaWorld, a recent survey of British tourists found that a clear majority have scrubbed exploitative marine parks off their list of places to visit. 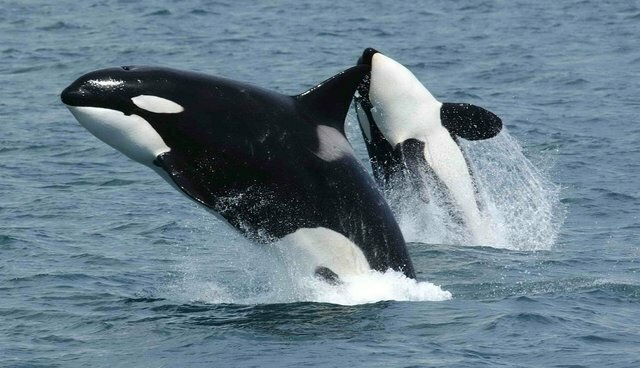 The poll, conducted on behalf of the Born Free Foundation and responsibletravel.com, found that of 2,050 UK holiday-makers questioned, a whopping 86 percent said they would not wish to visit overseas marine parks where dolphins and orcas are made to perform. Initially, a smaller majority of 61 percent reported they didn't want to visit, with 75 percent of that group agreeing that keeping whales and dolphins in small tanks is "wrong". But among those tourists who said they would visit marine parks, more than half changed their minds with just a little added awareness. Amazingly, 64 percent from the pro-visit group withdrew their support after being read a brief statement about the realities of captivity for marine mammals, including the fact they they have shorter lifespans than their counterparts in the wild. "Are the days of the dolphinarium over? It seems clear that when presented with the information on which to make an informed decision, British travelers have had enough," says Will Travers OBE, President of the Born Free Foundation. "It is time to bring the curtain down on the exploitation of whales and dolphins in captivity – just like the exploitation of wild animals in traveling circuses." The results of this survey are likely to be seen as part of a troubling trend for SeaWorld, which depends heavily on the million or so British tourists who visit Orlando each year. Earlier this month, the beleaguered marine park reported a 13 percent drop in attendance for the first quarter of the year over that same period in 2013. Issues raised in the film "Blackfish", a documentary detailing SeaWorld's questionable treatment of killer whales, is believed to have been instrumental in shifting public opinion. Likewise, several major tourism operators, including the world's largest travel company for young people, have decided to drop SeaWorld from their itineraries. "For too long the travel industry has buried its collective head in the sand on this issue. Just as there was a point when circuses' time was up, the same is happening with orca circuses. It's clear that the majority of holidaymakers are not interested in these shows for ethical reasons," says Francis.